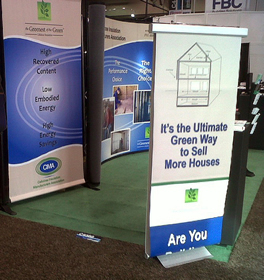 Gamma offers the Retractable 80, affordable banner stands for less demanding trade show displays. Setup and breakdown is simple. 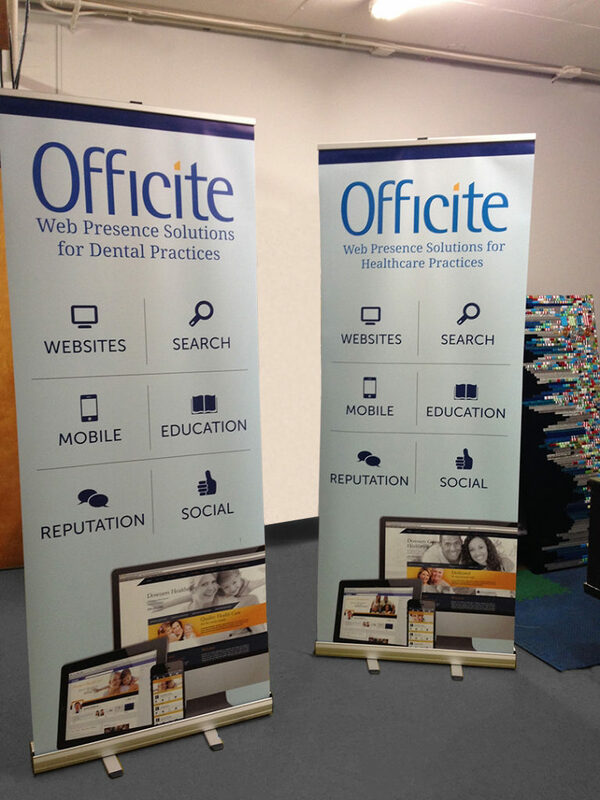 Trade show graphics roll up or down in seconds. 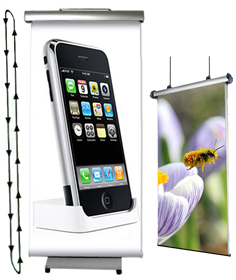 The Retractable 80 portable displays have adjustable feet for uneven surfaces, ensuring your message stands straight. 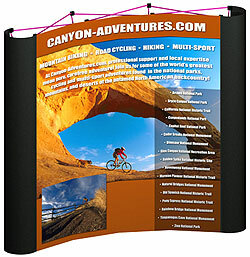 These light weight banner stands come with a nylon case and shoulder strap. Digital prints for Retractable 80 portable banners are produced on the Durst Lambda, a large format digital printer which images directly onto photographic materials (both paper and film). For economy Anti Curl Vinyl is also available.